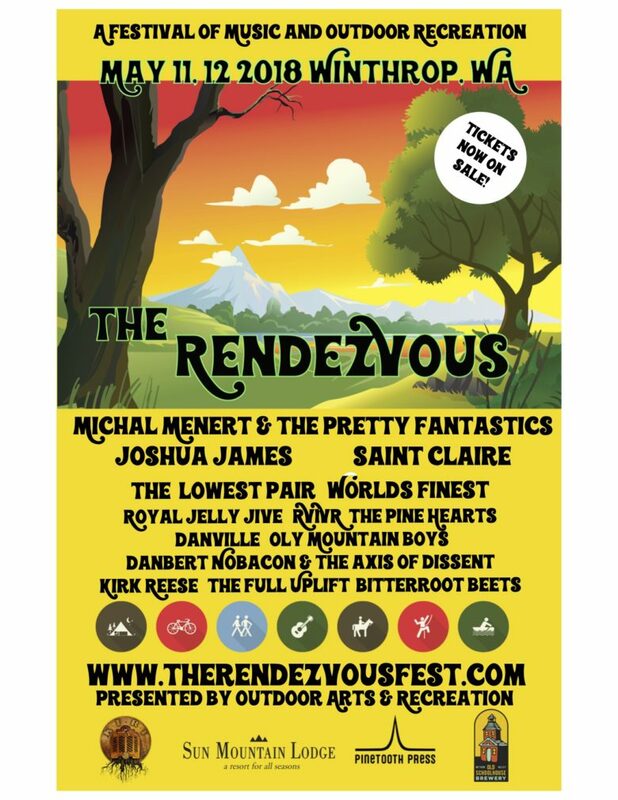 The Outdoor Arts and Recreation are organizing the Rendezvous Festival. May 11-13. They would love to have as many people there as possible! It’s a little less than a month away and it is going to be SO MUCH FUN! If you haven’t bought your tickets yet and or signed up to volunteer (half-priced tickets for folks who do a four-hour shift), now is the time! The festival is in such a beautiful spot, on the grassy shore of Patterson Lake at Sun Mountain. There’s camping and nice lodging at Sun Mountain Lodge and the festival grounds are the epicenter of FIVE GREAT TRAILS connecting to a network of close to 100 miles of trails great for TRAIL RUNNING, MOUNTAIN BIKING and HIKING. You can also go horseback riding, paddling on the lake, do yoga or just lounge around and soak up the sun and the views. And close by you can go rock climbing or whitewater rafting! This is going to be a super fun weekend with tons of fun stuff to do during the most beautiful time of the year to be in the Methow. And the 14 BANDS ARE ALL SO GOOD!! More details at therendezvousfest.com There are deadlines approaching for things like discounted rates at Sun Mountain Lodge, and the camping sites are limited as well as rental gear like mountain bikes and kayaks. Guided experiences are limited too such as rock climbing, horseback rides and whitewater rafting. So get your tickets and everything sorted out sooner rather than later. Help us make this first year festival a smash by buying your tickets in advance!